Our Mission: Connecting and supporting communities to build resilience and prevent youth substance use. Our Vision: A healthy, thriving community free of substance abuse. 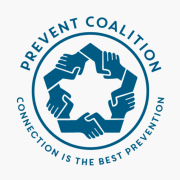 Prevent Coalition is a community coalition formed in 2003 to increase community collaboration, awareness, and reduce youth substance use in Clark County Washington. As a community mobilizer, we promote a healthy, thriving community free of the effects of substance misuse. Prevent Coalition is supported by the Department of Health, the ESD 112, and over 500 community members and organizations across Clark County. We're a group of community members working together to empower, advocate for, educate and support young people. Would you recommend Prevent Coalition - Clark County Substance Misuse Prevention?